The Avatar Sequels Finally Have the Dramatic Titles They DeserveWe’re really doing this! 19 More Titles for More Avatar SequelsAvatar: Return of What’s-His-Name and Who’s-Her-Face. A Year After SNL’s ‘Papyrus’ Sketch, Avatar Picks a New FontWell done, Julio Torres. James Cameron Is Tired of Avengers MoviesAnd he wants to make Avatar more like The Godfather. We know. Papyrus Creator Mounts His Defense Against SNL Avatar JokeThe guy behind the notoriously ugly font says he liked the SNL bit but stands by Papyrus. Ryan Gosling Uncovers a Vast Avatar Conspiracy on Saturday Night LiveThat logo font does look kind of familiar. All of the Avatar Sequel Announcements: A TimelineJames Cameron has been extremely busy planning our next Pandora trips. Huh, the Avatar Sequels Are All About KidsMost of them will be blue. James Cameron, You’ll Be MissedI’m not ready to lose Cameron to Avatar for the entire back half of his career. Today James Cameron Started Production on His 4 Avatar SequelsThe final film in the series is currently scheduled to hit theaters in 2025. Stephen Lang Will Be the Villain in All 4 Avatar Sequels“It’s not a whole bunch of new characters every time,” Cameron said of the sequels. The Next 4 Avatar Movies Have a New Set of Intentions to Eventually ExistDare to trust again? 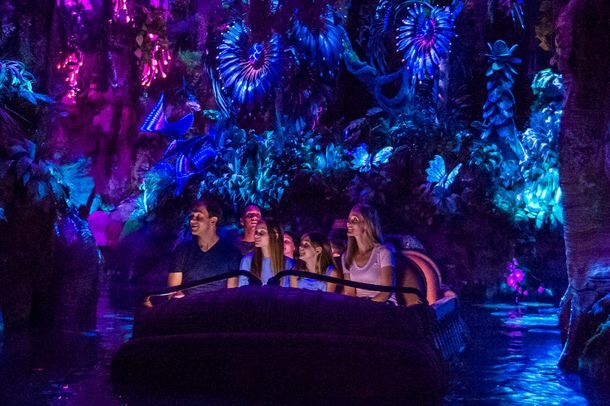 James Cameron Talks Expanded Avatar UniverseAs well as his new Cirque du Soleil show, Toruk. James Cameron Drops Avatar Sequels Plot DetailsExpect a “family saga” one of these years. Star Wars Is Done Setting Records, Avatar ReignsAlso: Titanic was No. 1 at the box office for about a billion weeks in a row. Avatar 2 Delayed IndefinitelyIt will not compete with Episode VIII. Star Wars Passes Avatar’s Domestic RecordIt’s still a long way from matching Avatar’s worldwide gross, however. The Force Awakens Almost Has Avatar’s RecordThe all-time domestic box-office record, that is. The 25 Best Action Movies Since Die HardTo celebrate the 25th anniversary of Die Hard, we’ve ranked the greatest thrill rides of the post-“yippee-ki-yay” era. James Cameron Finds New, Avatar-Free ProjectBy the time he gets to it, he’ll be shooting it in 4-D! Sigourney Weaver Claims Three More Avatar Sequels Are ComingAnd they might all shoot at the same time. Watch the Honest Trailer for AvatarPapyrus! James Cameron Is Just in the Avatar Business NowHe also dropped the term Avatar 4. See Iconic Movie Characters Drawn As South Park CharactersBill and Ted reboot, anyone? Time It Took Charlie Sheen to Get a Million Twitter Followers, and Other TriviaTwenty-five hours and seventeen minutes, to be exact. Last Night on Late Night: Emma Stone Deleted Facebook Because She’s Addicted To FarmvillePlus: Jesse Eisenberg and Conan O’Brien self-efface-off, and more, on our daily late-night roundup. Is James Cameron Pushing His Luck Doing Avatars 2 and 3?Haste makes waste. James Cameron Making Avatar 2 and 3 NextComing to theaters in December 2014 and 2015. Check Out a Not at All Creepy Video of a Dog Dressed As a Na’viThe Internet’s found a whole new form of cosplay! Watch a Deleted Barroom Brawl Scene From AvatarIn this audience footage from Spike TV’s Scream Awards, Sam Worthington goes bonkers, and then gets bonked. Sigourney Weaver, Dead or AliveHer character died in Avatar, but she’s coming back for the sequel. 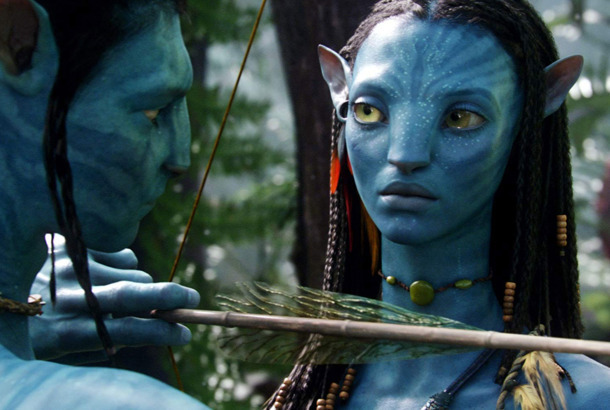 Avatar Rerelease to Feature Na’vi SexGreat news. Cameron Forcing Avatar Fanboys Back to TheaterWow! James Cameron Knows the Na’vi Should Have Had Six Limbs, Made Concessions to Commercial ConcernsAlso, he’s sorry about the floating mountains.